The 1954 Senate Subcommittee hearings examining the possible relationship between comics and juvenile delinquency remain the most significant moment in the history of comic book censorship. 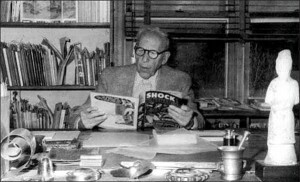 Centered on the testimony of Dr. Fredric Wertham, author of Seduction of the Innocent, the proceedings led to the creation of the self-policing of the industry, via the Comics Code Authority, and the death of EC, the largest publisher at the time of horror comics. The transcripts of these historic hearings have been available for some time at TheComicBooks.com. However, it is only recently that New York NPR station WNYC have rediscovered and posted the original audio of the first day. The first recording covers the morning of April 21, 1954, and includes the testimony of committee investigator Richard Clendenen, child psychologist Dr. Harris Peck, and Henry Edward Schultz, general counsel for the Association of Comic Book Magazine Publishers. 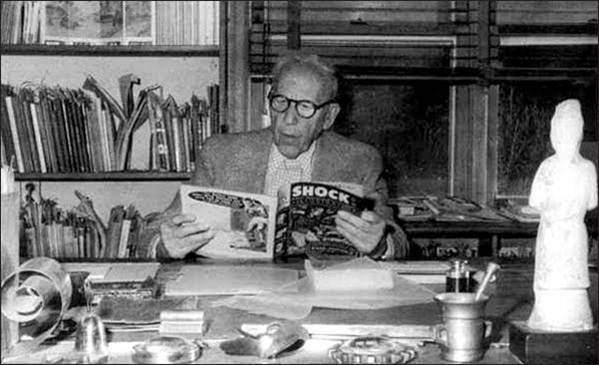 Part two features testimony by Wertham himself, followed by the interrogation of EC publisher William Gaines. Both recordings provide a fascinating insight into the tone and mood of the hearings that caused such drastic, industry-wide upheaval, and exemplify the congressional witch-hunts that permeated our government in the 1950s.